He's chubby, he's funny, and he's gay! But he's still a good child that way. Caught in a constant limbo between emotionally vacant and sentimentally charged, Navin W Noronha comes armed with a Bachelor's degree in not following through with his life goals. But this comedy show is the one thing that has stuck around and has been in the making for the past four years. His life so far has been a series of coming out of various closets and it just gets bizarre with each level. But it's all coming together now, or rather it's all coming out now. 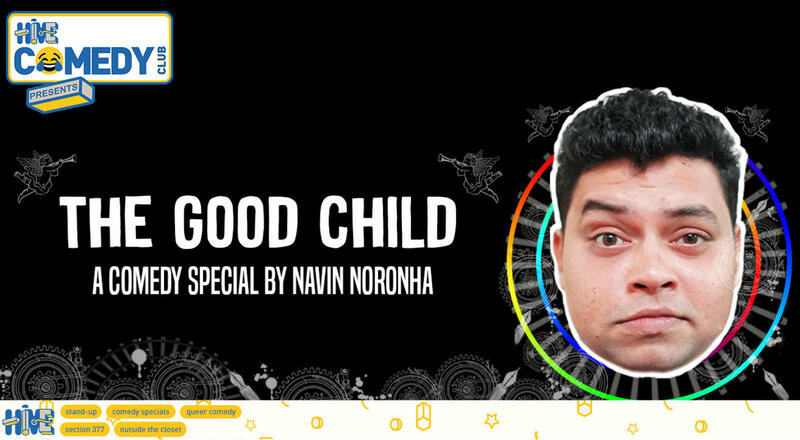 Born and raised in suburban Mumbai, Navin Noronha was touted as the ideal kid. But everything went sideways, or so his mom believes when he got into comedy after tanking miserably for six months. Since then, he has been owning up to his identity as an Indian queer male to construct two shows called 'Homo's Odyssey' alongside comedian Nick Pillow and 'The Good Child', his solo stand-up show.